In 1989, the Fremont Arts Council wanted to something creative with the area under the Aurora bridge. One year and two tons of concrete later, the Troll was born. In his left hand, he held a crushed VW Beetle with a California license plate, meant to symbolize frustration with the invasion of out-of-state people moving to Seattle. The license plate was stolen almost immediately, and the car was vandalized. To prevent further damage, it was filled with concrete and sealed. 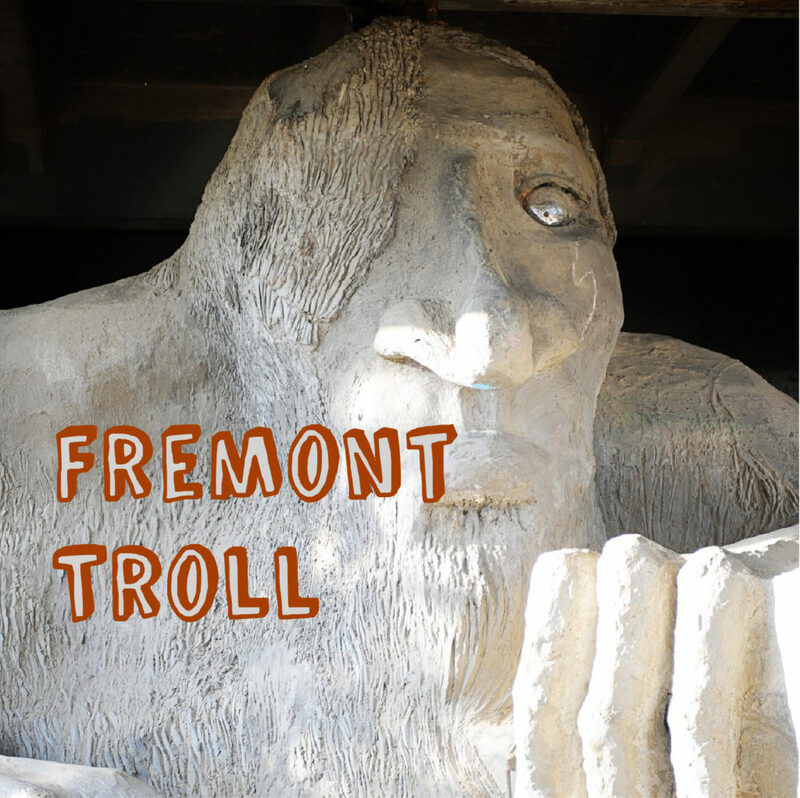 EPACC will convene on Friday, February 22 at 8:00 AM at the Fremont Troll. Here’s a map.